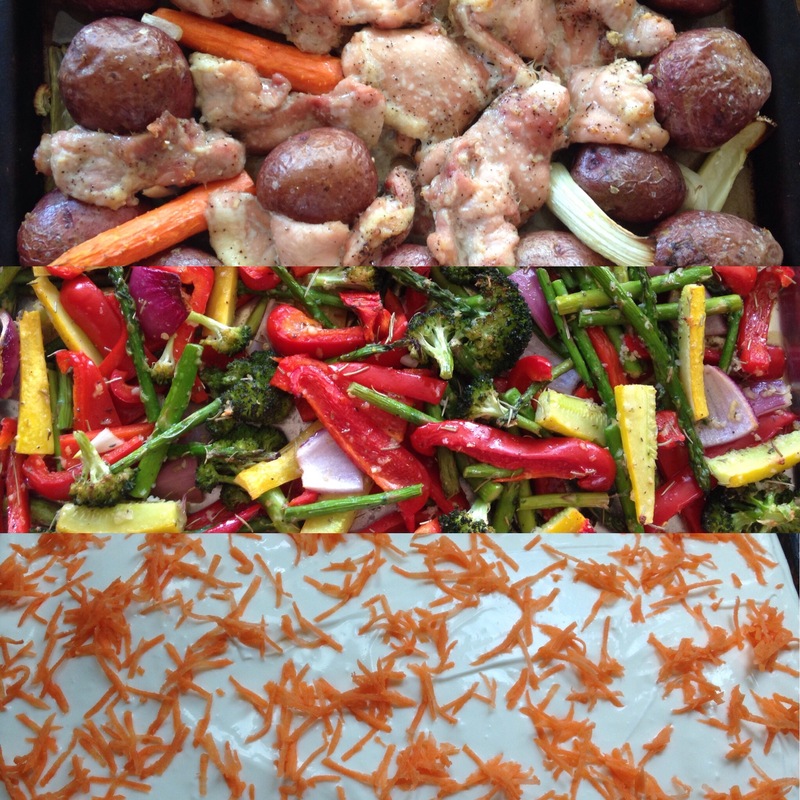 I made this colorful concoction for our Easter dinner this year. It was delicious and so easy to prep ahead when you have guests. I started the night before by washing and chopping all my veggies, and setting some minced garlic to marinate overnight in olive oil. In the morning I tossed about 8-10 red potatoes and a handful of carrots in a big bowl with my garlic and olive oil mixture from the night before﻿. Then I sprinkled them with salt and pepper and put them on my baking stone. I coated the chicken thighs (boneless, skinless, about 2.5 pounds) in the same oil and garlic mixture and placed them around and on top of the potatoes and carrots. Then I threw in some chopped onion pieces and celery stalks for flavor and good measure. Next, I coated all my veggies. 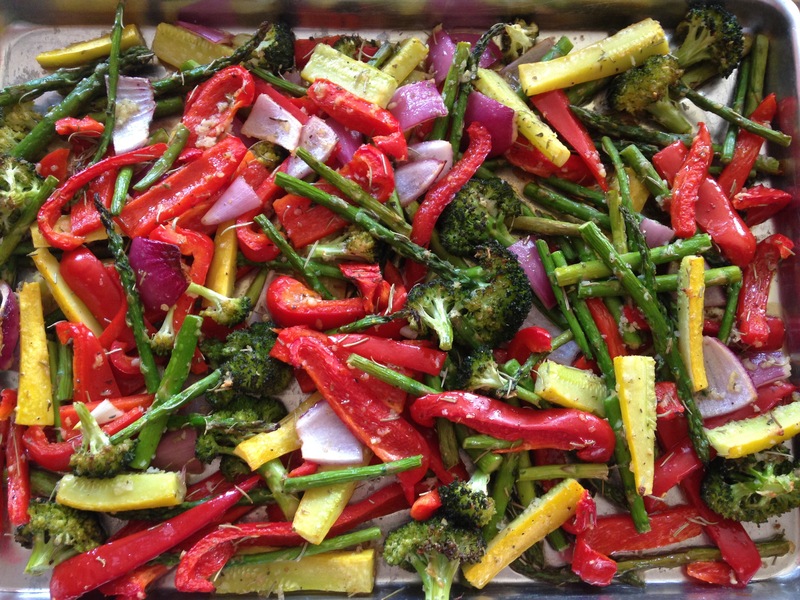 I had pre-chopped red onions, yellow squash, red peppers, broccoli and asaparagus. 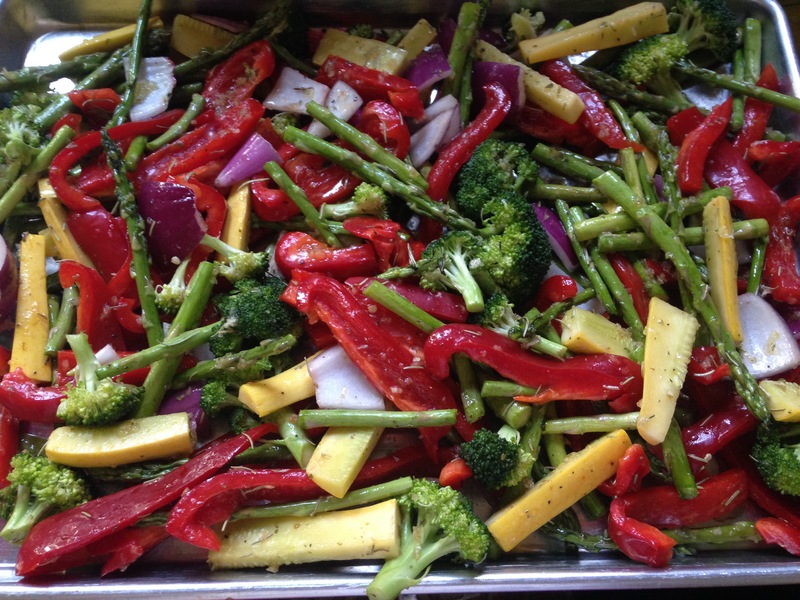 For this tray I chose veggies that were colorful for spring and ones that would roast quickly. 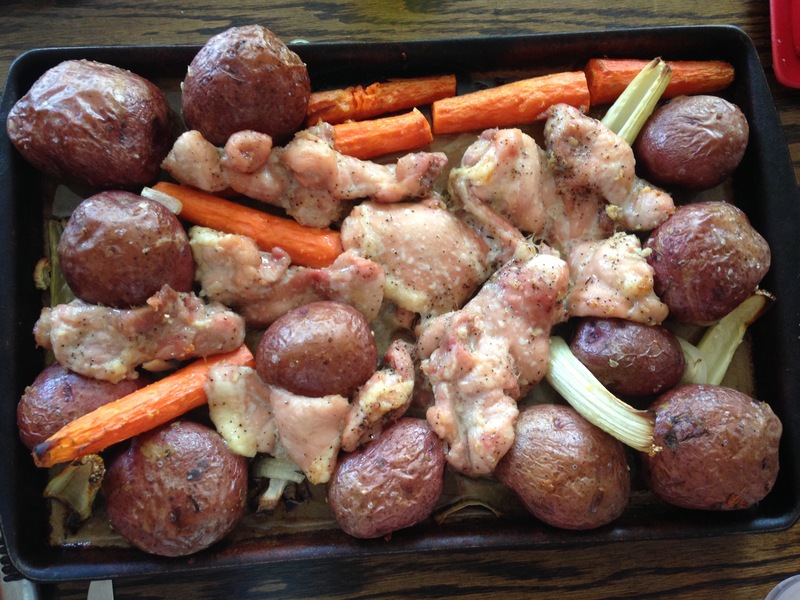 (The potatoes and carrots went on the tray with the chicken because they would need a longer cooking time.) I coated them in an olive oil, garlic mix with rosemary and oregano added, and sprinkles of salt and pepper. These all got spread on a second tray. I baked the chicken first. 45 minutes at 400 degrees. When it was done, I took it out to sit and put the second tray with the veggies in the hot oven (still at 400 degrees) for 20 minutes. Everything was perfectly roasted. It was an easy, delicious and flavorful meal. Roasted to perfection. 400 for 20 minutes. 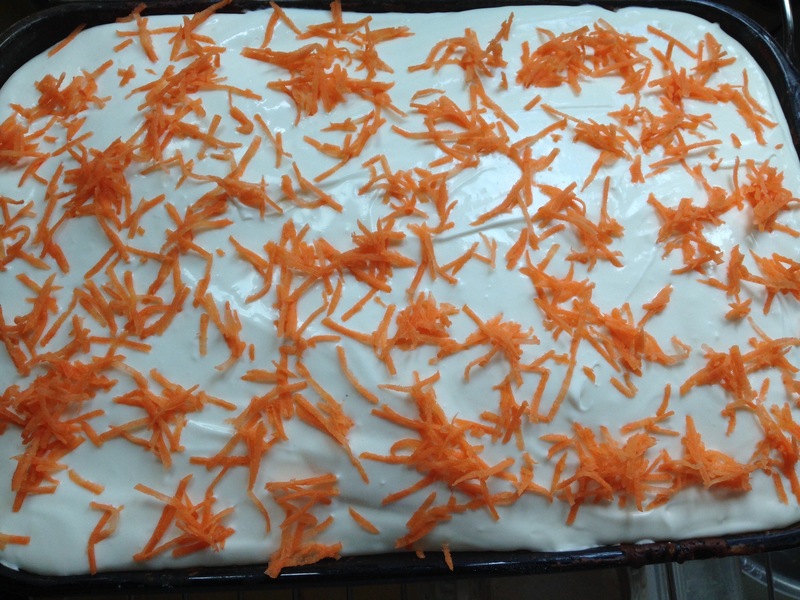 This entry was posted in Allergy Friendly Food, Cooking, Food, Holidays, Recipes. Bookmark the permalink.